An unforgettable event in a spectacular setting begins at Holiday Island. Whether you're hosting a birthday, anniversary, retirement, graduation or wedding reception, our special facilities will make a lasting impression. Located at the 18-hole golf course, the clubhouse ballroom is a spacious room recently renovated, perfect for large events, with a view of the golf course on two sides of the room. There is a full kitchen available, making it perfect for weddings. A historic building located at the recreation center surrounded by Table Rock Lake and the 9-hole golf course. 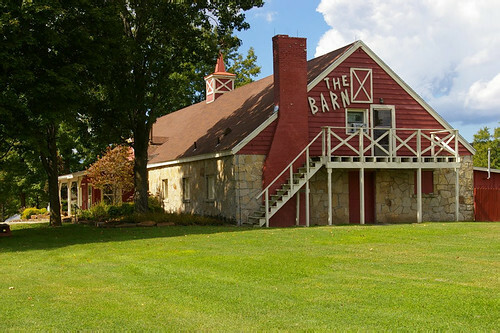 With a full kitchen & lots of rustic charm, The Barn is perfect for family reunions. 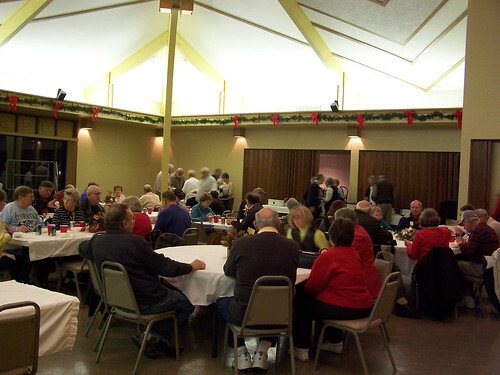 This stand-alone building, located at the recreation center, is perfect for parties or meetings. 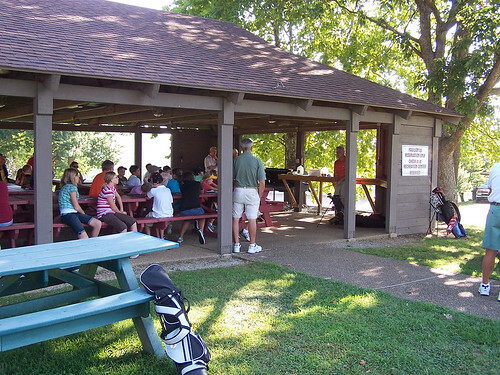 A covered outdoor facility complete with picnic tables and a BBQ available for a nominal fee. The pavilion is next to a playground, miniature golf, horseshoe pits, baseball field and more. Located at the 18-hole golf course, these two multi-purpose rooms are ideal for meetings or small gatherings. Facilities may be rented by the hour or day, and they are available to both property owners and the public. There is a 4 hour minimum and a security deposit is required on all rooms. The Ballroom and The Barn both include full kitchen privileges. Call 479.253.9890 to make a reservation.